Do you find your pond filled with debris...like leaves and twigs just floating on the top of your pond? It's more common to see debris during the fall months when the leaves are falling...but if you're noticing lots of debris just hanging around in the spring and summer months, you may be missing something. All of our ponds are built with a skimmer. 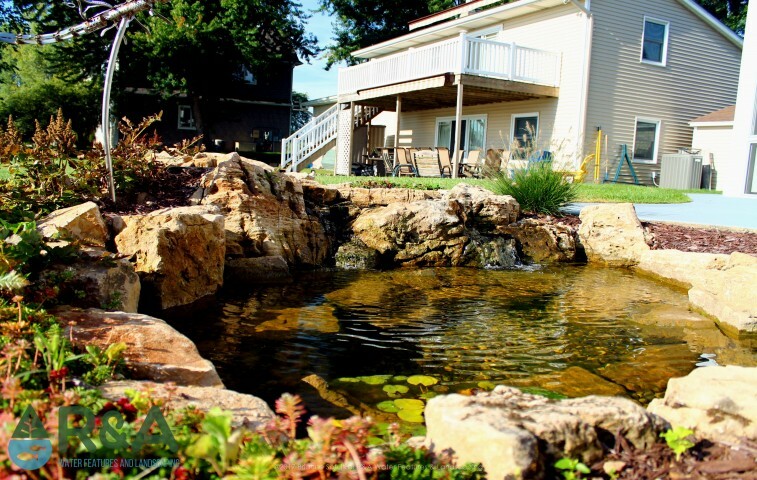 However, if your pond was not built by us, there is no guarantee your pond has a skimmer. The skimmer is located in a fixed position along the edge of the pond, its job is to "sweep" debris (no, not like a Rumba) from the surface of the water. This debris is collected in the skimmer basket, situated inside the skimmer unit. You'll want to check the basket once every few weeks in the spring and summer, and weekly or more frequent in the fall when the leaves are falling. If debris is not removed from the baskets, water flow to the pump will be reduced. But checking your skimmer basket is quick & simple, just follow these steps. Replace the skimmer basket within the skimmer unit and replace the lid . All done, that was pretty quick & easy!